Join us for our precinct meeting. 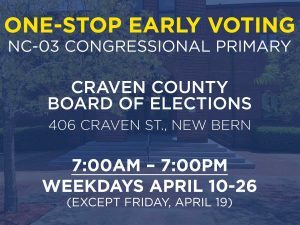 We’ll talk about how we’ll be getting out the vote and turn Craven County blue! Invite your friends, neighbors, and family!